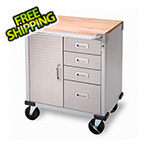 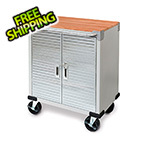 This rolling workbench features all steel construction, body flush cabinet doors. 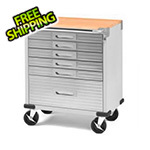 Drawers include dividers for sorting parts, tools or anything else you wish to organize. 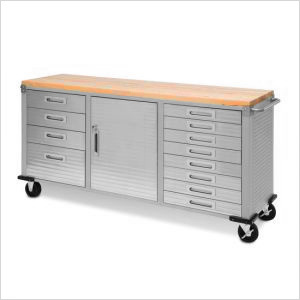 This 6-foot, 12-drawer modular workbench also offers rubber protecting corners and will compliment any basement, garage or hobby room.